A TLS by Benjamin Harrison on his personal stationary, date line indianapolis Oct. 31, 1888. 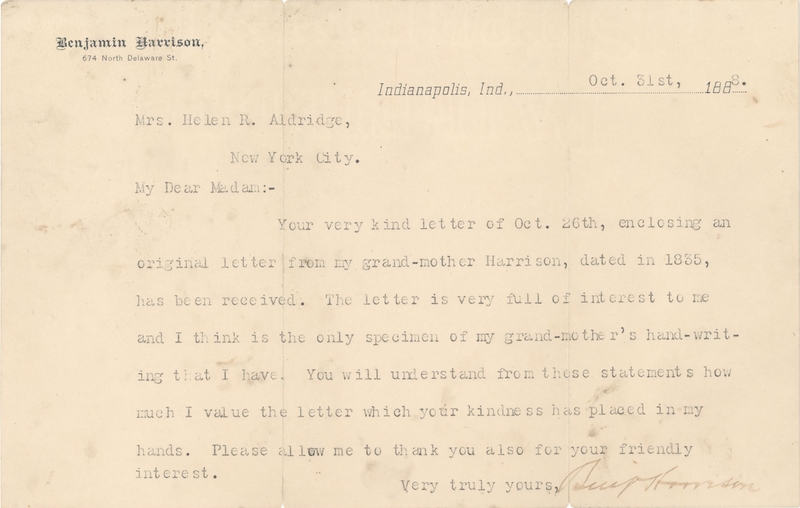 The letter thanks a Mrs. Alderidge for sending a letter form his grand mother, dated form 1835. In it he states that it is the only writing form her that he has. Signed in the conclusion Benjamin Harrison. Signature is just a shade light letter in good condition.